Author: GGCA, Ministry for Foreign Affairs of Finland, IUCN. (2011, June). 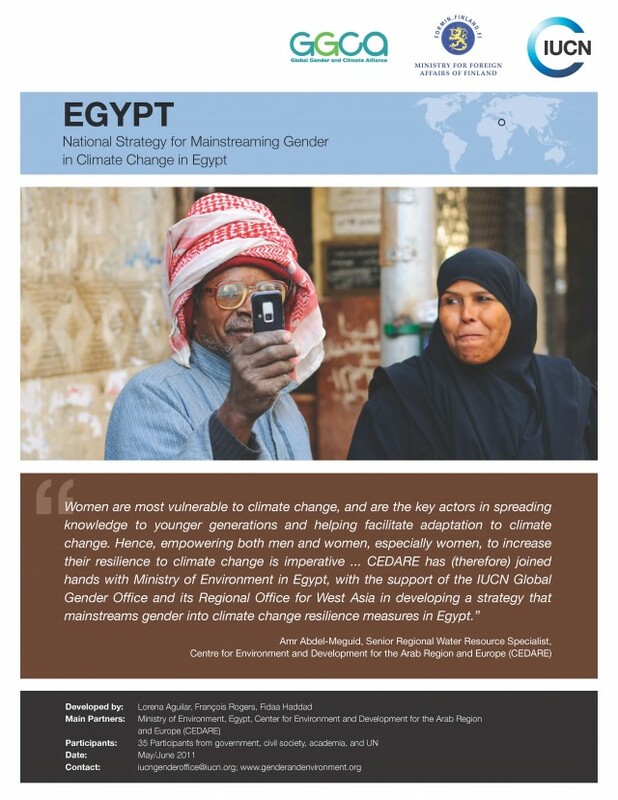 This fact-sheet highlights the goals of Egypt’s climate change gender action plan which include mainstreaming gender considerations into national climate change initiatives and policies. Egypt’s priority areas are coastal management, agriculture, water, tourism, health, energy, transport, urbanization, and waste management.